Okay, so you have finally decided to study medicine and pursue a rewarding career in the medical field. 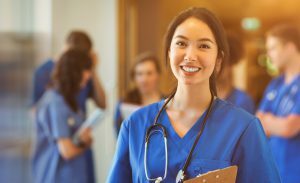 You have successfully secured a stellar MCAT score, gained clinical experience and completed all your prerequisite courses, now is the time to start thinking about selecting the right medical school. There are more than 60 medical schools in the Caribbean, choosing where to apply can be a daunting undertaking. 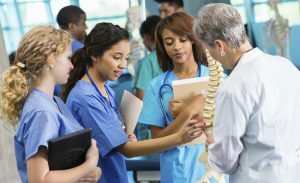 Being a prospective medical student, your goal is to find the perfect fit for you. Probably you are thinking to submit your medical school application to a long list of the best Caribbean medical schools. Selecting the right Caribbean medical university is one of the key steps along your premedical journey. Make sure to figure out how many medical schools to apply, where to apply, carefully research each school, and check the Caribbean medical school admission requirements prior to applying, so that you can make the right selection. If you are currently a high school student, or even in a college and thinking about how to choose the best Caribbean medical university, here are some important considerations to keep in mind that will help you evaluate potential schools. 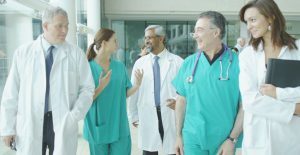 How to find the top medical schools in the Caribbean? If you want to serve humanity, make a difference in people’s lives, and pursue a rewarding career in medicine, it’s the right time to start finding the top medical schools in the Caribbean. Many Caribbean medical schools follow the U.S. curriculum, offer a state-of-the-art learning environment, digital classrooms, and offer clinical rotations in the U.S. and Canada. 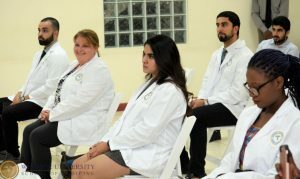 WUSOM is one of the best Caribbean medical schools that focuses on providing innovative curriculum based on cutting-edge learning techniques and affordable tuition fee. What are the benefits of studying medicine in the Caribbean? Attending a Caribbean medical school is undoubtedly a great option for students who want to become a qualified doctor and serve the world in a myriad of ways. Caribbean medical schools not only offer quality medical education, advanced clinical training, low tuition cost, higher acceptance rate, and graduate success rate but also allow you to pursue a lucrative career in the challenging medical field. Are medical schools in the Caribbean accredited? Caribbean medical school accreditation is the most important factor students should take into account. Students are advised to do careful research before applying to a Caribbean medical school. Make sure the school you are applying to is accredited by the World Federation for Medical (WFME), the World Health Organization, the Foundation for Advancement of International Medical Education and Research and International Medical Education Directory (FAIMER-IMED). 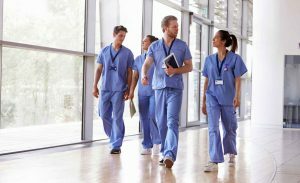 How to apply to Caribbean medical schools? The admission process of Caribbean medical school is extremely easier. The application process and admission requirements are different from school to school. 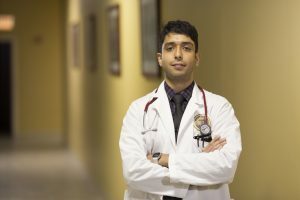 In order to apply for an MD program in WUSOM, applicants need to complete an undergraduate degree, complete 8 credit hours in biology, general chemistry, organic chemistry, and physics, submit your transcripts, personal statement, two letters of recommendation, 2 passport size pictures, curriculum vitae, and your MCAT scores (optional). What are the admission requirements of the Best Caribbean medical schools? Keep in mind that the application process and admission requirements are different from school to school. Top Caribbean medical schools required applicants to complete eight credit hours of biology, chemistry, physics, Mathematics, and English including lab experience. Applicants who have taken courses in advanced science coursework such as human anatomy, human physiology, genetics, as well as social science courses such as psychology, humanities, and philosophy are preferred over other candidates. In addition, you are required to submit 2-3 letters of recommendation, official transcript, personal statement and MCAT scores (optional). When do I apply in the Caribbean medical school? One of the major benefits of applying to medical schools in the Caribbean is rolling admissions, flexible deadline and hassle-free admission process. With rolling admissions, applications are evaluated on the basis of first come first basis and will have less competition. If you are thinking of pursuing an MD program or Premedical Science Program, you can apply to Spring, Summer, and Fall semesters. What documents do I have to submit for admission into Premed or MD program? If you are applying for a premedical or MD program, you have to submit the transcripts of your undergraduate degree, personal statement, two letters of recommendation, two passport size pictures, curriculum vitae, and your MCAT scores (optional). What documents do I have to submit if I am an international student? 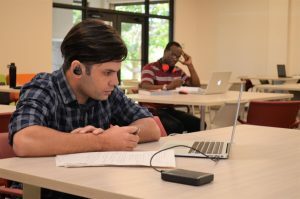 If you are an international student and applying to a Caribbean medical university, you need to submit an official credential evaluation report of transcript through World Education Services (WES), official report of scores on the Test of English as a Foreign Language (TOEFL) or International English Language Testing System (IELTS) and refundable Security Deposit. Why do Caribbean medical school rankings matter to students? 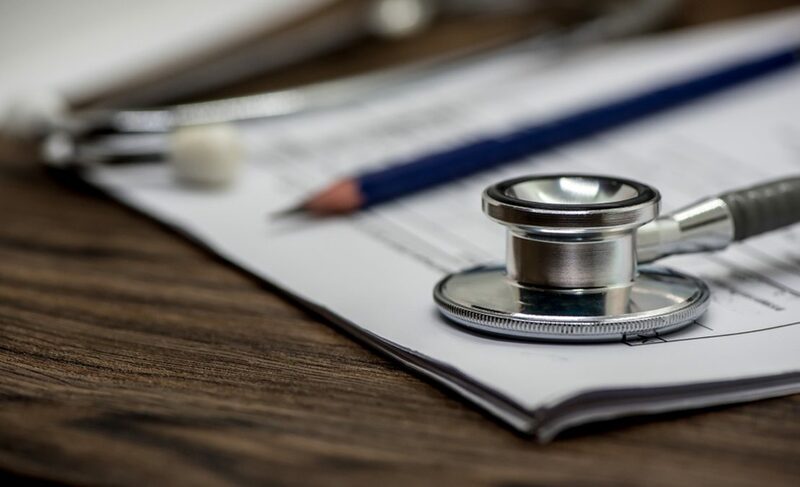 When it comes to creating a list of schools for your application, it is a good idea to consider the medical school rankings as it provides a broad interpretation of a school’s overall quality. Many students think that schools with higher rankings provide the best education and is the best fit for them. Different education ranking publications consider different factors such as MCAT, GPA, acceptance rate, faculty resource, research activity, and residency placement to determine the quality of a medical school. Applicants can use medical schools’ ranking to determine how competitive they are for the specific school. 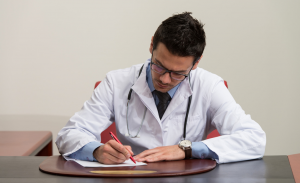 In addition, medical school rankings matter when it comes to submitting your residency application as it can increase your chances of matching into the competitive specialty of your choice. Can I apply to a medical school in the Caribbean without MCAT? Yes, you can apply to a Caribbean medical school without MCAT. There are many Caribbean medical schools including Windsor University School of Medicine that don’t require the MCAT for admissions. 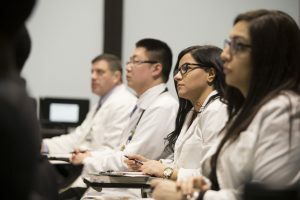 If you want to study medicine, you can apply to a Windsor University School of Medicine with no MCAT. However, securing stellar MCAT scores can increase your chances of gaining admission to an accredited Caribbean medical school. If your GPA is less than perfect, but your MCAT score is impressive, you can still get into a top Caribbean medical school. So, prepare well for the test and secure good marks. 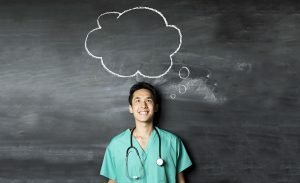 Is it possible to start medical school at 30? Yes, it’s not late. If you are older than 30, you can still apply to a top medical school. Age is never a limitation when it comes to earning an MD degree. Many Caribbean medical schools accept applicants into their 30’s and 40’s. So, if you have decided to study medicine and become a doctor, and you are in your 30s or older, you can start medical school. Is Windsor medical school accredited? WUSOM is accredited by the Medical Council and Accreditation Board of Government of St. Kitts. It is licensed and chartered by the Ministry of Education and listed in the World Directory of Medical Schools in partnership with FAIMER. Windsor University has been approved by the Medical Council of Canada and the Medical Council of India. The graduates are eligible to be Education Commission of Foreign Medical Graduates (ECFMG) certified. What is the acceptance rate of Caribbean medical universities? As compared to US medical schools, many medical schools in the Caribbean region have a much higher acceptance rate. Many U.S. medical schools give more importance to MCAT scores; on the other hand, Caribbean medical schools don’t require the MCAT to apply. 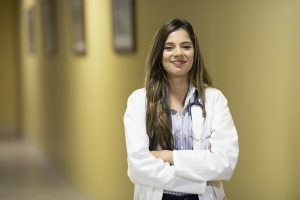 Aspiring medical professional who were rejected from U.S. medical schools should consider attending to a medical school in the Caribbean to fulfill their dream. Students have higher chances of getting an interview call from Caribbean medical universities who fulfill all the admission prerequisites. WUSOM wants to provide an equal chance to all applicants to prove their passion and potential regardless of their MCAT scores. How long is the MD program? If you have a dream of becoming a physician, and applying to an MD program, it is important to note that the path to becoming an excellent doctor takes five years in the medical school, three years in residency and fellowships depending on the medical specialty you choose. How long is the Premed Program? It takes four years to complete the premedical Science program. You don’t need to take a major in science courses if you complete the required course works. Upon successful completion of 4 semesters of premedical courses, students are eligible to complete the Basic Medical Science program. Can I get admission into a medical school in the Caribbean with a low GPA? If your GPA is less than ideal, don’t worry. You can still gain admission to the best Caribbean medical school. 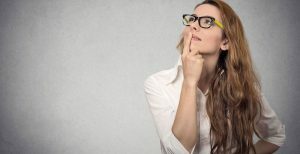 Since your GPA is the most important factor that can improve your chances of getting a spot in the medical school, it is not the only factor that medical school admission committees consider. They give much importance to other areas to evaluate your medical school application. Do Grades Matter when Applying to a Caribbean Medical School? 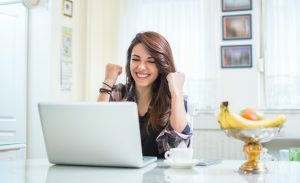 Your grades are the most important component that can strengthen your medical school application. The overall GPA requirements of Caribbean medical school is lower than U.S. medical schools. Though grades are not the only criterion for acceptance, many other factors matter most during the admission process. Grade requirements depend on the medical university; however, it is important to secure stellar grades in biology, chemistry, physics, and other science courses. 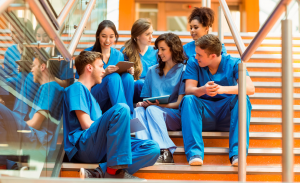 As admissions committees want to ensure that you have a solid understanding of the basic concepts and can handle the coursework you are required to study in medical school. 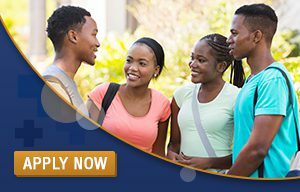 It is strongly advised to check the entry requirements for the particular medical school you are applying to. How much does it cost to go to medical school in the Caribbean? The tuition cost of Caribbean medical schools is relatively lower than medical schools in the U.S. and Canada. This is why many students prefer Caribbean medical schools because of their affordable tuition cost. The average tuition cost of Caribbean medical schools is $3,990 per semester for the pre-medical program, $4,990 per semester for the basic sciences program, and $6,490 per semester for the clinical sciences program. Do you need a bachelor’s degree program to get into the best Caribbean medical school? In order to gain admission to a top medical university, students are required to complete a bachelor’s degree program, which includes the prerequisite courses of General Biology, General Chemistry, Organic Chemistry, Physics, English, and Mathematics. Applicants are advised to complete courses in advanced science courses such as genetics, biochemistry, human physiology. Caribbean medical schools require a minimum of 90 credit hours of undergraduate coursework and must complete the undergraduate study before applying to medical school. 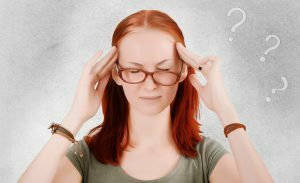 Medical School is hard – Is it true? Studying in a medical school in the Caribbean is a long and arduous undertaking. 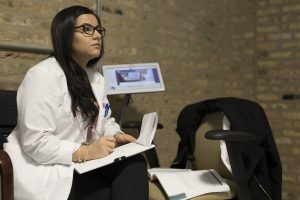 From learning the sheer amount of information to completing a lot of assignments, performing lab work to meeting the challenging demands of clinical rotations, many students find it extremely hard to survive in medical school. 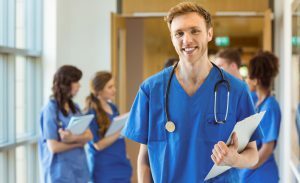 By following smart learning strategies, effective study habits, helpful memorization techniques, you can perform well in the medical school and become a competent physician. What are the pros and cons of Caribbean medical schools? There is a lot of benefits of studying in Caribbean medical schools. It’s easier to gain acceptance than it is US medical schools. They have rolling admissions schedules. Caribbean medical schools have affordable tuition cost. They focus on providing their students with early clinical training. They offer clinical rotations in the U.S.
Not all medical schools in the Caribbean are accredited. 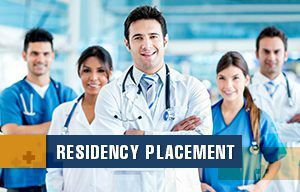 Students find it challenging to get residency placements in certain specialties. What are the admission requirements for Premed program? Students are required to obtain a bachelor’s degree before applying to a medical school. Since any undergraduate major is acceptable, you need to fulfill the course requirements of general and organic chemistry, physics, biology, English, calculus or college level mathematics. What are the admission requirements for the MD program? In order to apply to the five-year MD program, students need to complete the undergraduate degree with a science background, official transcript, MCAT scores (optional), personal statement, letters of recommendation, passport size pictures, activities and achievements (if any). What is the highest MCAT score ever recorded? Taking the Medical College Admission Test (MCAT) is the most important steps in applying to medical school. Aspiring medical school students should submit their MCAT score to increase their chances of acceptance. The maximum possible score is 528. The highest MCAT score for matriculants who have been accepted and attend a medical school is 519. Is it easy to get a Caribbean medical school residency match? Attending an accredited medical school in the Caribbean will prepare you for residency placements in a myriad of competitive specialties. Caribbean medical school graduates are eligible to obtain residencies in a variety of hospital programs in different states of the United States and Canada. How long is the Caribbean medical school admission process? Caribbean medical school admission process is less stressful and more feasible than U.S. medical schools. Caribbean medical schools have rolling admissions, allowing students to apply three times a year, January, May, and August. Caribbean medical school admissions committee provide application assistance and help students with their admission process. Applicants usually get an interview call and hear about the final decision within two weeks. What is the Caribbean medical school students drop out rate? Caribbean medical schools have around 7-12% drop rate. Medical schools in the Caribbean that offers a higher tuition rate have high attrition rates compared to those that offer affordable tuition fee. What are the major medical school problems? Medical school is a difficult journey. Learning the sheer amount of information, memorizing difficult medical terms and concepts, preparing for USMLE Step 1 and Step 2, and clinical rotations are the major medical school problems usually students face. 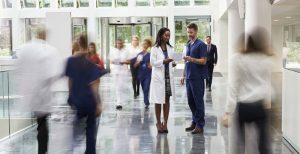 Medical school applicants want to get into the most prestigious institution, but a school reputation is not the only factor to consider. It is important to explore school websites, speak with the current students and alumni, attend interview to learn the culture and curriculum of a school. Furthermore, factors such as early opportunities for medical training, preclinical course load, shadowing opportunities, research opportunities, and elective third-year rotations also matter when electing the best Caribbean medical school. Now you have developed an in-depth understanding of how to choose a medical school. It’s time to start evaluating your options and narrowing your focus. Visit your favorite medical schools to get a feel for the place. Hopefully these questions will help you find the best Caribbean medical school university for you. What is the MCAT and GPA score required for getting admission into Windsor University. I checked your accreditation and clinical affiliates they are pretty impressive. I am also looking for taking admission into well accredited school in Caribbean islands to do my MD program. I live in New York and getting admission here in US medical school is pretty difficult like you require 3.6 GPA and MCAT score of 31. I want to study in Caribbean islands as it is quite peaceful, beautiful and residency you provide also seems to be pretty close to the university. I was reading that most of residency offered at your university is within 20 minutes drive to the campus. 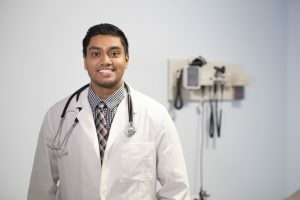 US medical schools take up a lot of time in admission of candidates and their programs also require more time in getting completed which I believe would also play in my favor as keeping aside clinical exposure across US, I would also be able to finish my program earlier and gain practical exposure through shadowing doctors and grabbing internships.